22 Jun	This entry was published on June 22, 2017 at 9:24 am. 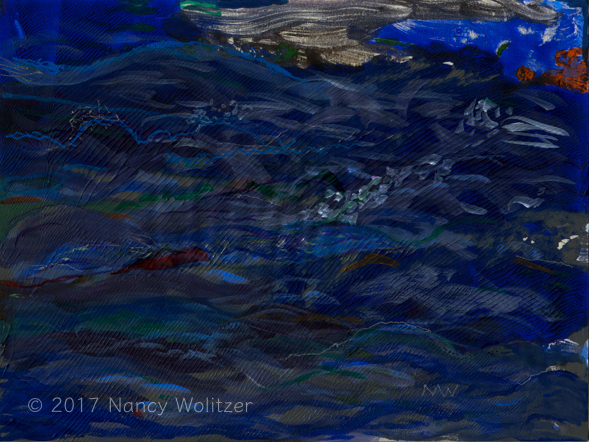 It’s filed under Artwork, Painting and tagged Acrylic, Early in the Morning I Saved a Drowning Woman, Nancy Wolitzer, Ocean, Painting, Waterscape, Works on Paper. Bookmark the permalink. Follow any comments here with the RSS feed for this post.